My passion to address and end homelessness began at the CCNV Federal Shelter in Washington DC in the late 1980’s. The ongoing lack of housing for so many Americans continues to drive my work. Then as now, a place to call home and a job are the most frequently expressed hopes and needs of people experiencing homelessness. Today we are at a critical juncture. We have a Federal Administration fully engaged in creating and supporting the public-private partnerships necessary to end homelessness in this country. Opening Doors presents the framework for communities to end homelessness. A key part of this effort is ensuring that homeless assistance providers know how to support people experiencing homelessness to obtain employment and training. The Butler Family Fund has a long history of investing in organizations, partnerships, and networks that change public policy to support the people most affected by extreme poverty. Homelessness—too often a manifestation of extreme poverty—has been a focus of our work for more than two decades. Most recently, we’ve focused on investments in programs and collaborations that create employment pathways out of homelessness. Partnerships between the public workforce system and homeless and housing providers is an area where we see tremendous potential to scale solutions to homelessness through employment. Last fall, the Butler Family Fund, in partnership with the Department of Labor (DOL), the U.S. Department of Housing and Urban Development (HUD), and the U.S. Interagency Council on Homelessness (USICH), sponsored Partnerships for Opening Doors, a summit on integrating employment and housing strategies to prevent and end homelessness. More than 100 people participated, including teams from 11 communities, Federal agencies, and national organizations. DOL Secretary Tom Perez, HUD Secretary Julián Castro, former USICH Executive Director Laura Green Zeilinger, Roy Austin, Deputy Assistant to the President for Urban Affairs, Justice and Opportunity at the Domestic Policy Council at the White House, and DOL Deputy Assistant Secretary for Employment and Training Gerri Fiala addressed the Summit. A report about the Summit has just been published along with a host of resources about effective practices in serving jobseekers who are experiencing homelessness, Federal resources to support programs, and profiles about communities that are undertaking innovative, cross-sector approaches. The potential for this work is significantly strengthened by the new, bi-partisan passage of the Workforce Innovation and Opportunity Act (WIOA) that reauthorized Federal workforce programs. WIOA governs programs administered by the U.S. Departments of Labor, Education, and Health and Human Services. WIOA brings a new emphasis to low-income adults and youth with limited training and skills to help them overcome barriers to economic success. To delve more deeply, please see New Opportunities to Improve Economic and Career Success for Low-Income Youth and Adults. As a starting point, WIOA requires each state to develop a unified strategic plan that includes priorities for serving vulnerable and homeless adults and to establish new approaches to serve vulnerable, out-of-school youth. To realize the opportunities presented by WIOA reforms, homeless assistance providers and local Continuums of Care must become actively engaged with local and state workforce boards to ensure that the needs of jobseekers experiencing homelessness or who have recently exited homelessness are considered and incorporated into these new state and local plans. With strong advocacy, WIOA can help move the disconnected education and training systems to adopt cross-systems approaches to tackle unemployment, low literacy, and low educational attainment among youth and adults who experience homelessness. Each governor has a tremendous opportunity to craft new approaches to cross-sector employment and training initiatives using WIOA’s discretionary set aside. 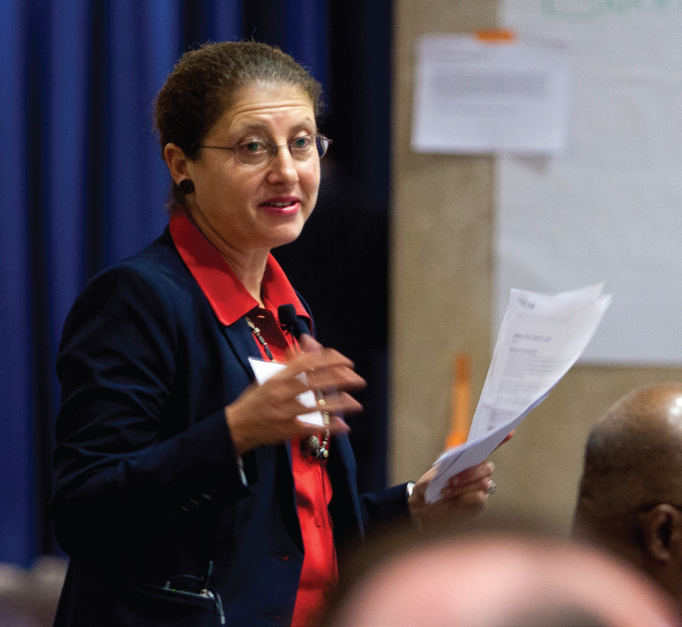 Advocates can propose new workforce initiatives for homeless populations using these funds. Allowable activities include innovative services to individuals with barriers to employment, nontraditional employment programs, coordination with programs from other agencies, implementing promising practices, performance incentive grants, developing common intake procedures, and technical assistance to local areas on pay-for-performance contracts. One of the most significant opportunities under WIOA concerns youth experiencing homelessness. WIOA requires that at least 75 percent of available state-wide funds and 75 percent of funds available to local areas be spent on workforce investment services for out-of-school youth, an increase from 30 percent under previous law. Youth who are experiencing homelessness are included in the definition of “out-of-school youth”. Now is the time for homeless youth programs to develop and partner to provide employment, education, and youth development strategies for youth and young adults. Ultimately, our shared goal is to help jobseekers who have experienced homelessness on their road to independence. WIOA presents a real opportunity to remove many roadblocks that make it difficult for such jobseekers to access the public workforce system. It will require the efforts of advocates, homelessness assistance providers, Continuums of Care, and philanthropy to engage with workforce boards to remove these roadblocks. We’re in – are you? To find your state and local workforce board contact, check out this online search tool. Martha Toll is the Executive Director of the Butler Family Fund.